When it comes to the professional world, a good manicure can say a lot about your work ethic, style and personality, which is why it is so important to learn the ins and outs of office-appropriate nail polish. 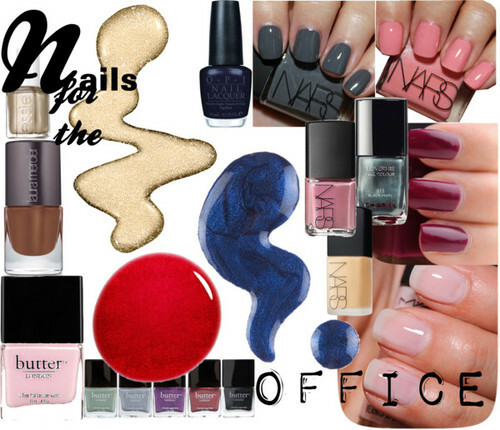 Following the trends is fun, but sometimes it’s better to leave a distracting manicure at the office door. This doesn’t mean you can’t have fun with your nails, because there are ways to get around professionality. Let’s talk through it! If you’re talking with clients and/or other business professionals, you want them to pay attention to what you are saying, not what your neon nails are screaming. You want to be taken seriously, and for that to happen, your manicure can’t hold you back. If people can’t concentrate because of your bold bejeweled fingernails, then there is a problem. If you work in an environment where nail art creativity is encouraged, then how lucky are you! First, make sure that your workplace actually allows nail polish as some businesses require their staff to have naked nails. If you’re having trouble deciding what polishes are appropriate for work, take a look at the hot colors and trends for fall here. All of these options are tame enough to be worn in a professional environment. Keeping your nails trim can make a big difference in an acceptable manicure vs. an unacceptable manicure. 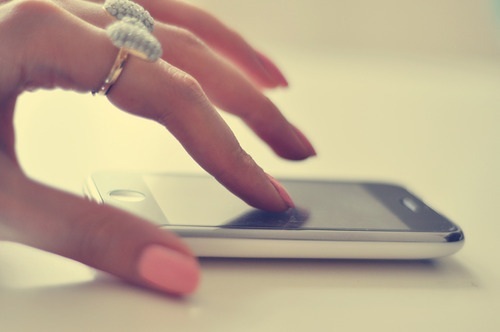 If your nails are quite lengthy, take it easy on the brightness of your color choice. Those of you with shorter nails can get away with more because there is less for others to see and be distracted by. Dagger nails are a statement all by themselves, so choose wisely between length and color. Just a reminder: nails can always grow back. Lucky for me, my college professors could care less what I put on my fingertips, so my options are limitless. If you’re just making the transition from college life to the professional world, the lines of polish acceptability may be unclear, so stay true to these and you can’t lose! I chose to try the funky French manicure in a deep maroon color: needless to say, I’m ready for the leaves to change. 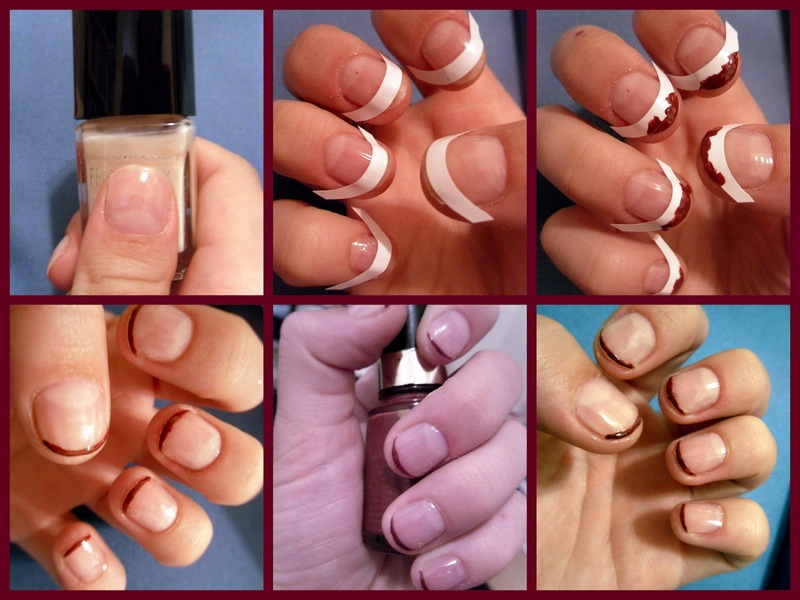 Finally, a French manicure for people with short nails! Remember, if you’re trying this one, it’s a funky French, so really go for those skinny lines in fresh colors. Don’t forget to wait for the first two coats of polish to dry completely before applying the French manicure stickers! Have fun combining the new trends with the office environment... you never know what you might come up with! I like the idea. It's easy to do at home! But I would try to stay away from the dark maroon tips on super short nails...looks a bit like you were fighting for you life, and won, or you have a voracious hunger for your own nails. :P A lighter tip would look cool!